Kate reads just about everything she lays eyes on, especially when it regards style and beauty trends. Despite this, she is still totally inept at applying eyeliner. Illnesses. Burnt meals. Forgotten gifts. Be prepared for the worst with our holiday survival guide. Breaking up is always hard, especially if you’re leaving someone who you’ve trusted for years … with your hair. 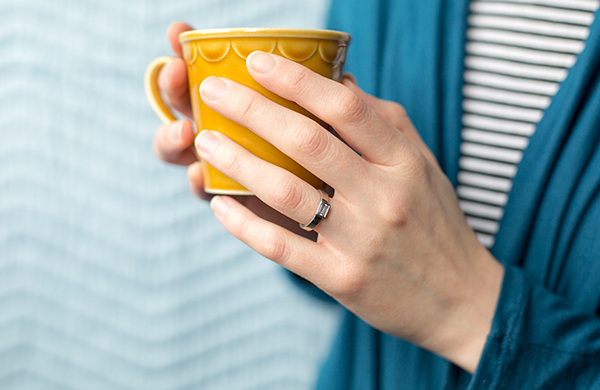 Diamond rings may seem timeless, but the tradition dates back less than 100 years. You’re not beholden to it. Nearly every appliance in our homes is considered "smart." Can't brooms have their moment in the sun too? Groupon sales data found the fittest cities in America, calculating just which Americans most love yoga, CrossFit, and other activities Groupon sells deals for, including trapeze (which is totally an activity). From golf courses to gardening, the drought has affected a lot in Los Angeles. House cleaning is no different. A Denver chiropractor identifies several causes of back pain and what you can do about them. Your bank account may suffer, but there's no reason to inflict pain on your spine, too. She loves seeing students open themselves up to new experiences, but she also knows how to make them sweat. You’re never too old to build muscle and improve your aerobic fitness. Here are some tips for exercising in your 50s. A Los Angeles chiropractor explores residents’ unhealthy habits and treatments that relieve the pain they cause. Spending hours sitting in a car isn't good for anyone, even pro drivers. Here's how you can prevent and treat back pain. Heading to New York, LA, Chicago, Dallas, or Boston? Read our list of staff picks for the best things to do in each city. Museums, restaurants, and cultural experiences abound in Washington, DC—and you can walk to all of them. A year’s worth of customer satisfaction data has crowned a new center for friendly servers and custodians. Is your wedding classic or contemporary? Will the invitations be sleek and modern or stick to convention and include no fewer than 15 pieces of paper? Aging and hormone changes can mean wrinkles and, yes, adult acne. Lessen the effects of time with these skin-care tips for women over 50. Which Cities Are Best at Keeping Their New Year’s Resolutions? Most of us make New Year's resolutions to get fit and healthy. But only some of us, including Groupon users in these cities, actually do something about it. Where does it hurt? We map out common bodily complaints and the massage and spa gifts you can provide for a treat. It’s not all about tropical getaways in Maui and fireside cuddles in Vail. Even St. Louis can be romantic. Precious metals, fine wines, and other luxe ingredients are frequent components of high-end facials. But what exactly can they do for your skin? We’re itching for spring to start, but first we have to reverse the effects of dry, cold weather with these beauty treatments. Our beauty editors’ comprehensive guide to the best nail polishes, including the top brands for base coat, affordability, nontoxic formula, and more. Is the lady in your life Class Clown or Most Likely to Succeed? Applying high-school superlatives may help with your shopping list. Is LASIK eye surgery permanent? How well does it work? Does it hurt? A squeamish Groupon beauty editor had the same questions and sought out the answers. These spa gifts for mom make Mother’s Day an opportunity to unwind in new, unexpected ways. What Qualifies LASIK’s Ideal Candidates? Done with your glasses and contact lenses? Use this article to find out whether you could be an ideal LASIK candidate. What Is LASIK and How Does It Work? Learn about what LASIK is, how the surgery works, and whether you’re an ideal candidate. Short hairstyles are popular among celebs, but us long-haired regular folks are rightfully circumspect. That’s why we selected favorite cuts that would look at home on nearly everyone. We sought lip-balm advice from a dermatologist, then had our beauty team test four different types. The balm at the top of the list? It’s a tie. Sometimes you should give tradition the finger. Try these three modern interpretations of the classic manicure. Toppers Spa/Salon walked us through one of their best day-spa packages. Spoilers: expect rosemary oils, but no mashed potatoes. Your trip to the spa should be invigorating, not boring. Stay away from the usual by booking one of these 8 uncommon yet relaxing treatments. Three modern twists on french-tip nails give the traditional look a whole new vibe. This holiday season, don’t fret about your food choices. Check out these four fitness routines that countering the calories from four major holidays. Don't lose hope when the babysitter cancels—your date night can be saved! Check out these ideas for romantic dates that include the kids. These high-tech treatments make it their job to target wrinkles, sagging skin, and other signs of aging. Although these medical-spa treatments don’t usually require downtime, there’s an art to booking appointments for the best results. We've compiled 10 methods for taming frizzy hair, from easy at-home tasks to more drastic measures that may require a professional stylist’s know-how. Don't lose hope when the babysitter cancels—your date night can be saved! Check out these romantic but kid-friendly date ideas.